1993 “Antonia Eiríz on Exhibit,” oils on canvas and ink drawings; Weiss Sori Gallery, Coral Gables, Florida. Ink drawings exhibition, Duchess County Art Association Barrett House Gallery, Poughkeepsie, New York. 1991 “Reencuentro,” asemblages, paintings, drawings and prints; Galiano Gallery, Havana, Cuba. 1987 Prints exhibition; Municipal Museum of San Miguel del Padron, Havana, Cuba. 1986 Ink drawings exhibition; Foundation for Cultural Patrimony Gallery, Havana, Cuba. Ink drawings exhibition; Romero Gallery, Madrid, Spain. 1985 Ink drawings exhibition; Latin American Cultural Space Gallery, Paris, France. 1967 “Thirty Illustrated African Poems;” Galiano Gallery, Havana, Cuba. 1964 Paintings and assemblages exhibition; Del Lago Gallery, Mexico City, Mexico. Asemblages exhibition; National Museum of Fine Arts, Havana, Cuba. Painting and assemblages; La Habana Gallery, Havana, Cuba. 1997 “Breaking Barriers,” selections from the permanent Contemporary Cuban Collection; exhibited “Entre lineas,” Museum of Art, Fort Lauderdale, Florida. 1996 “Cuba 20th Century: Modernity and Syncretism,” organized by the Atlantic Center of Modern Art, Canary Islands; traveling to La Caixa Foundation, Palma, Spain; and the Santa Monica Art Center, Barcelona; exhibited “El vaso de agua,” 1963, and “Es lo que parece,'' 1995. “Rings: Five Passions in World Art,” global art exhibition in connection with the Cultural Olympiad of the Centennial of the modern Olympic Games; exhibited “Entre lineas,” High Museum of Art, Atlanta, Georgia. 1994 “Paper Visions V: A Biennial Exhibition of Works on Paper by Thirty Contemporary Latin American Artists;” exhibited ink drawings, The Housatonic Museum of Art, Bridgeport, Conn.
1989 “Havana in Madrid;” Madrid, Spain. 1969 “Contemporary Cuban Lithographs;” Havana, Cuba. “Homage to the 26th of July;” Havana, Cuba. International Prize VIII “Joan Miro,” Barcelona, Spain. “Cuban Painting Today,” United Nations, New York, U.S.A.
“Homage to 100 Years of Struggle for Freedom;” Havana, Cuba. 1968 “Cuban Painting;” Rome, Italy. 1967 “Cuba in London;” London, England. Contemporary painting exhibition; National Museum of Fine Arts, Havana Cuba. “Painters and Guerillas;” Casa de las Americas Gallery, Havana, Cuba. 1966 Contemporary painting exhibition; Rome, Italy. “Homage to Escardo-Baragaño,” Union of Writers and Artists exhibition; Havana, Cuba. “10 Cuban Painters Exhibit,” Print Biennial; Warsaw, Poland. 1965 Drawing Salon, National Library, Havana, Cuba. “26th of July;” La Habana Gallery, Havana, Cuba. 1964 National Salon of Painting and Sculpture; National Museum of Fine Arts, Havana, Cuba. National Salon of Drawings; Havana, Cuba. “Homage to Venezuela;’’ Havana, Cuba. 1963 Biennial VII; Sao Paulo, Brazil. “Sixth Anniversary of the Revolution;” La Habana Gallery, Havana, Cuba. “Abstract Expressionism;” La Habana Gallery, Havana, Cuba. 50th anniversary exhibition; National Museum of Fine Arts, Havana, Cuba. 1962 Drawings exhibition; Matanzas Gallery, Matanzas, Cuba. “Eight Painters and Sculptors;” National Museum of Fine Arts, Havana, Cuba. “First Competition of Latin American Prints;” Casa de las Americas Gallery, Havana, Cuba. Drawings exhibition; Oriente Gallery, Santiago, Cuba. 1961 Biennial VI; Sao Paulo, Brazil. Prints Salon; National Museum of Fine Arts, Havana, Cuba. “Congress of Cuban Writers and Artists;” National Museum of Fine Arts, Havana, Cuba. “Freedom for Alfaro Siquieros;” National Museum of Fine Arts, Havana, Cuba. 1960 National Salon of Painting; National Museum of Fine Arts, Havana, Cuba. Exhibition; Hotel Habana Libre Gallery, Havana,Cuba. Exhibition; Palace of Fine Arts, Caracas, Venezuela. Exhibition; Palace of Fine Arts, Mexico City, Mexico. “Six New Values;” Lyceum, Havana, Cuba. “Cuban Art Today;” Art and Cinema La Rampa Gallery, Havana, Cuba. “Guerlain Competition;” Lyceum, Havana, Cuba. 1959 “Art for Oriente;” Lyceum, Havana, Cuba. “Thirteen Cuban Artists;” Lyceum, Havana, Cuba. 1957 Exhibition; Old De Paula Church, Havana, Cuba. Exhibition of Cuban Christmas images; Editorial Lex Gallery, Havana, Cuba. 1952 Exhibition; CTC Gallery, Cuba. Permanent collection of the National Museum of Fine Arts, Havana, Cuba. Cuban collection of the Musuem of Art, Fort Lauderdale, Florida, U.S.A. Numerous private collections in Latin America, Europe and the United States. 1994 John Simon Guggenheim Memorial Foundation fellowship. 1989 Felix Varela medal, awarded by the Ministry of Culture, Cuba. 1983 Alejo Carpentier medal, awarded by the Ministry of Culture, Cuba. 1982 Raul Gomez Garcia medal, awarded by the Ministry of Culture, Cuba. 1981 Contributions to Culture medal, awarded by the Ministry of Culture, Cuba. 1975 One-month artist exchange program, visiting the Soviet Union and the German Democratic Republic, sponsored by government cultural office. 1967 Six-month traveling fellowship to Italy, Spain and France, awarded by the United Nations Educational, Scientific and Cultural Organization. 1963 First place woodcut, First Competition of Latin American Prints, Casa de las Americas, Havana, Cuba. 1961 Honorable mention, Biennial VI, Sao Paulo, Brazil. 1960 First place, “Towards the Revolution” Contest, Havana Cuba. 1959 First place, Alliance Française Poster, Havana, Cuba. 1984 - 1993 Art consultant to the Foundation for Cultural Patrimony, Cuba. 1982 Judge for the Quadrennial in Erfurt, German Democratic Republic. 1970 Judge for the National Salon Competition, National Museum of Fine Arts, Havana, Cuba. 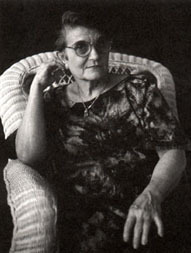 1965 - 1969 Art professor, Cubanacan National School of Art, Havana, Cuba. 1962 - 1964 Professor, School for Crafts Instructors, Havana, Cuba. 1958 Graduated with degree in art from the San Alejandro National School of Fine Arts, Havana, Cuba.